Seven aircrew, six standing, one seated, in front of Lancaster, V, on an airfield dispersal. All the men are in flying suits and boots. Behind the crew, under the aircraft, can be seen one other man in uniform. Nose art with head and shoulders of a man wearing a cap, facing forward, with two fingers raised. 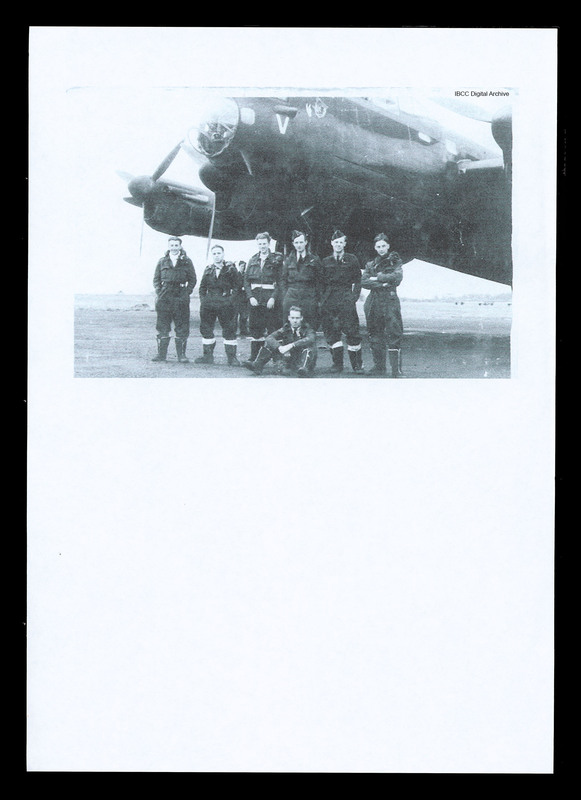 “Aircrew in front of Lancaster,” IBCC Digital Archive, accessed April 24, 2019, https://ibccdigitalarchive.lincoln.ac.uk/omeka/collections/document/14902.